I love sangria, so whenever I find myself in Spain stuffing my face with tapas, I feel compelled to order at least one glass to get things started and get my blood moving. 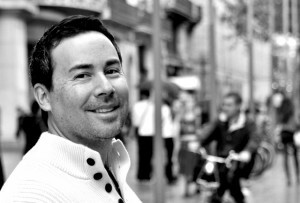 Unfortunately, even in Madrid, good sangria can be hard to find. Most of the time it’s some awful concoction made for tourists that taste more like watered-down Kool-Aid with a hint of wine than awesome Spanish sangria. Una caña por favor. 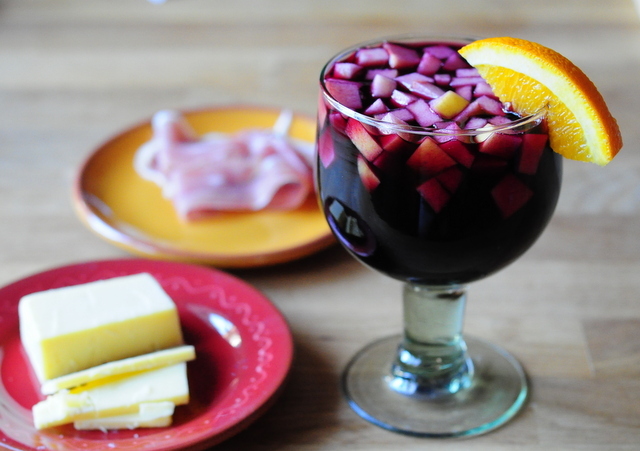 This is my fast and easy Sangria recipe. 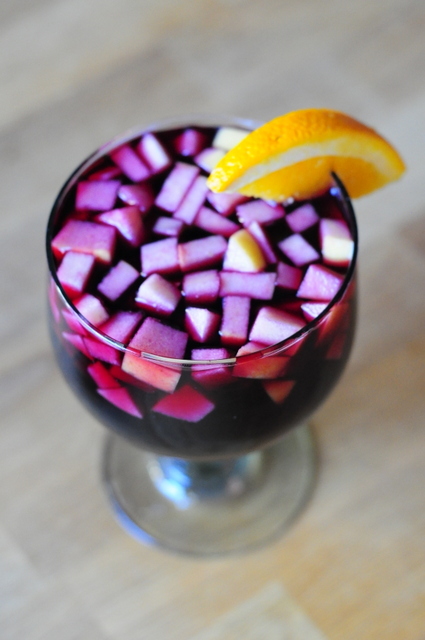 It is perfect for parties and early mornings when you wake up with a craving for sangria… trust me it happens. Sweet, easy to make, and easy to drink. It’s versatile and works for just about every occasion. Like I said it’s good and easy to make, so make some tonight just in case. Combine wine, sugar, orange juice and honey in a large pitcher and stir until sugar is dissolved. Remove the peel from the oranges and discard. Segment the oranges and dice them into pieces no larger than 1/2-inch. Peel the apple, remove core and cut into wedges. Dice the wedges into pieces no larger than 1/2-inch. Add the cut apple and orange pieces to wine. Stir in Cointreau or brandy, if using and chill for at least 2 hours before serving. Garnish each glass with a scoop or two of the dice fruit.